There’s no other town in the world that I am more fond of than the quaint, charming, fairytale-like town of Cesky Krumlov in southern Bohemia. It’s as if you have stepped into a time warp – small cobblestone roads, bridges every which way you look, and no, there’s no McDonalds! It’s a great short day trip from Prague if you find yourself there but for the best experience, visit Krumlov in the summer season and raft down the Vltavy River. 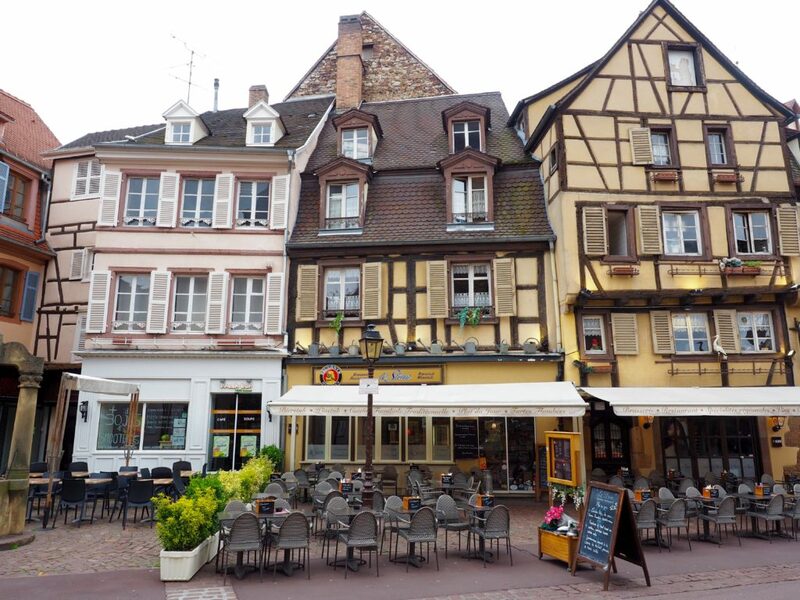 Situated in Alsace, Colmar is a unique blend of French and Germany architecture, culture and spirit. It’s as colourful in real life as it looks to be in the photos and is one of France’s true hidden gems. 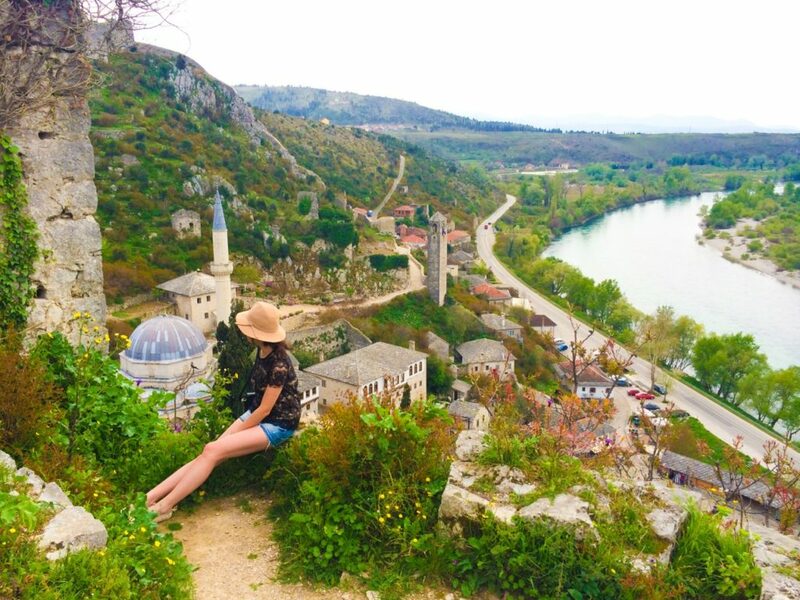 Located in the hills of scenic Bosnia & Herzegovina lies this magical little town you can enjoy almost all to yourself! The lakeside town of Hallstatt is a UNESCO World Heritage Site and has even been dubbed the prettiest lakeside village in the entire world. Whether you visit at summer or winter time, you are sure to fall in love with what will always be one of Europe’s most charming small towns. Bruges has become incredibly popular for travellers looking to photograph the lego-like houses in the city centre (pictured above). It still remains to be one of Europe’s prettiest little towns, but is now more popular than ever. There’s much to see and do in Bled, however the greatest attraction is undeniably Lake Bled – one of the world’s most stunning lakes and a favourite for visitors to Slovenia. This would indeed have to be the most photographed street in the Cotswolds! This small town is filled with old world charm and could very well be the most charming town in England! 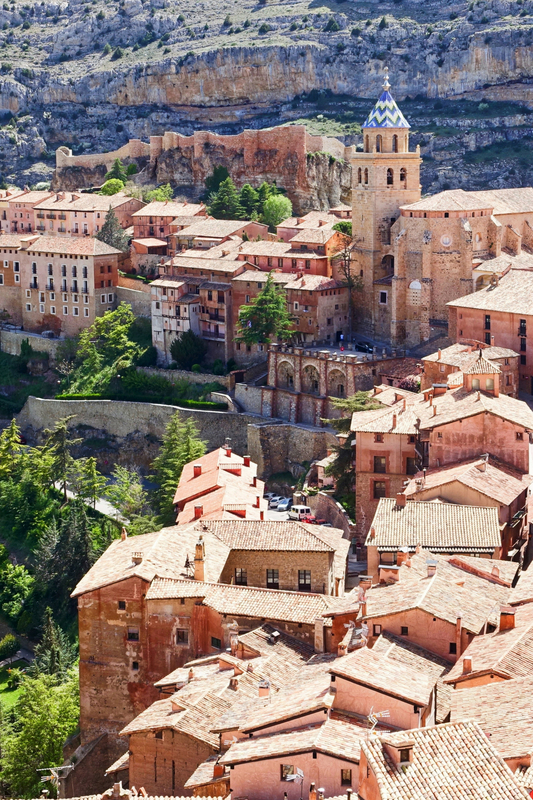 Some would say Albarracin is the most charming village in all of Spain. It’s just a two hour journey from Valencia and a 30 minute train ride from Teruel. Game of Thrones really put this one on the map – but the charm of Croatia’s biggest tourist attraction is enough in itself to make you want to visit! 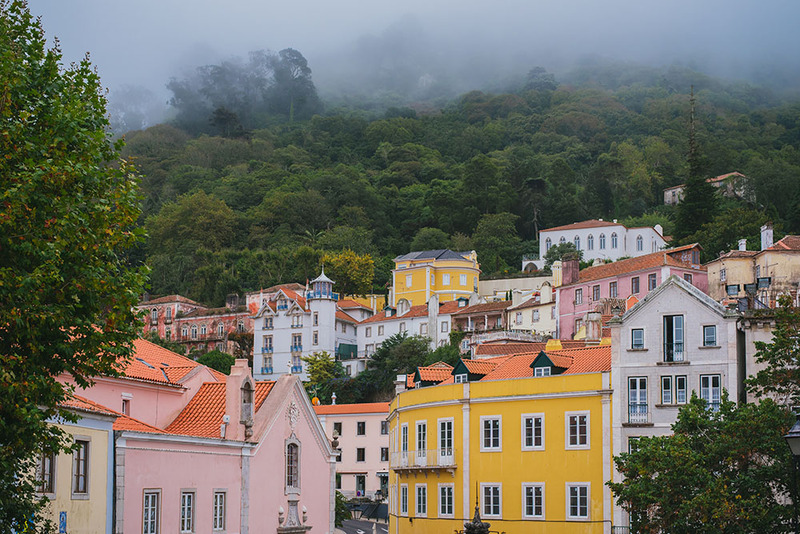 Just a short half day trip from Lisbon is one of the most mystical little towns you will find in Portugal: Sintra! With its own castle located in the foggy hills, this town is a mystery waiting to be discovered. 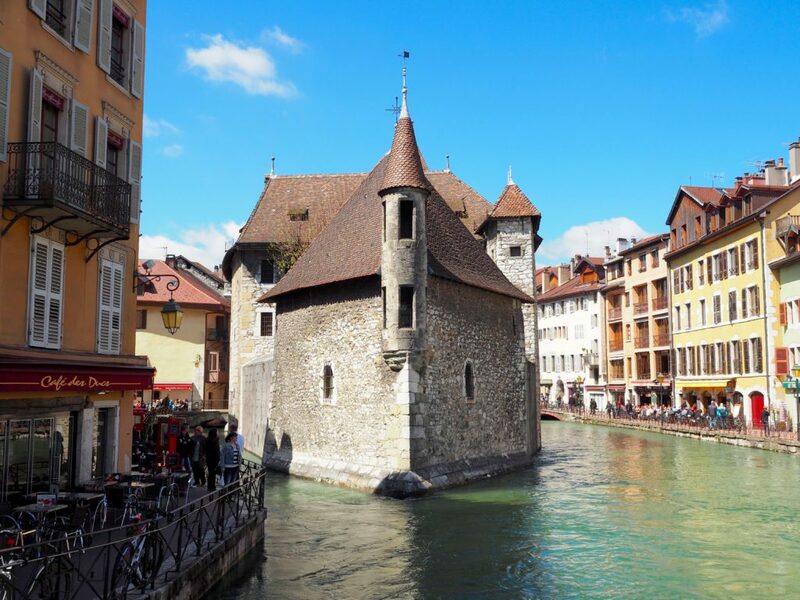 Annecy is built around a 14th Century Chateau and is arguably more charming than any other French town you will find. The town is also surrounded by the French Alps, making it even more picturesque! 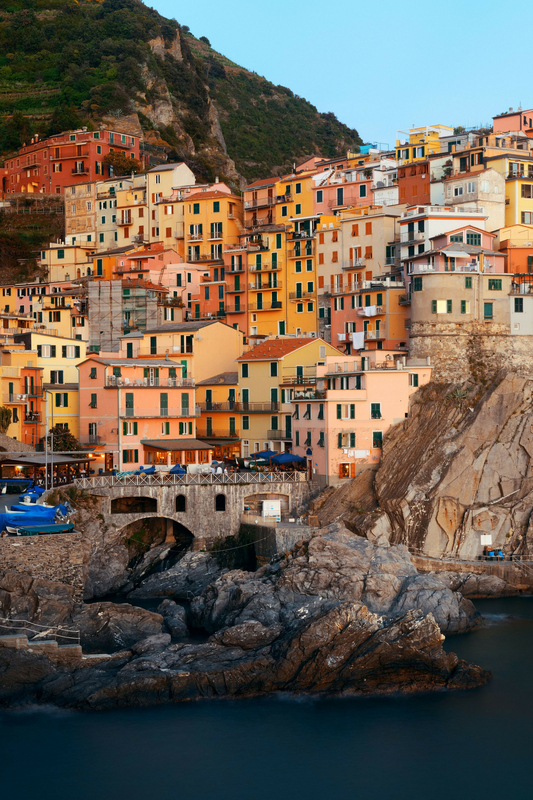 The image says it all – Manarola would have to be one of Italy’s most charming little towns on the coast. But there are so many more! Italy is filled with hidden gems to discover – be sure to take your time in this beautiful country! 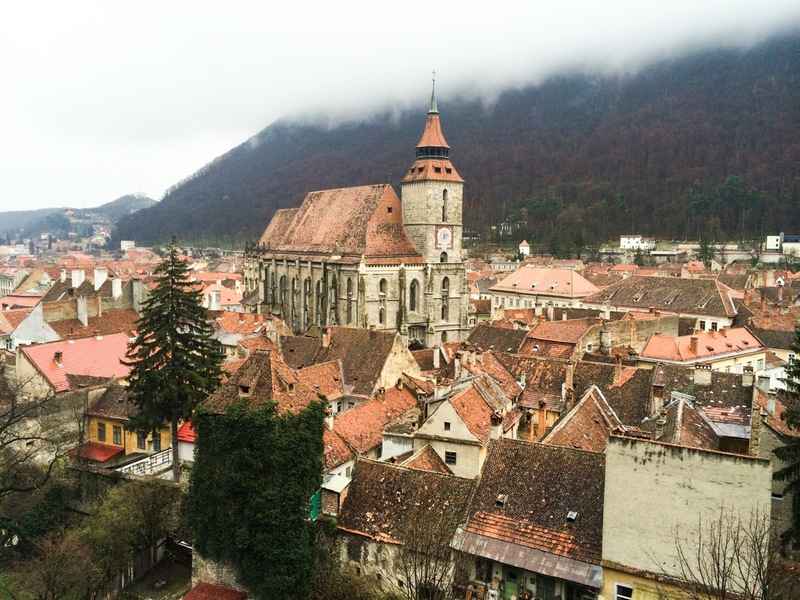 Often overlooked by travellers to Europe, I truly believe Romania is one of the most magical countries I have explored and Brasov would be the crowning jewel. This quaint and charming small town is the gateway to Transylvania’s castle region and epic landscapes, so be sure to allow at least four nights here to soak up all the town and area has to offer! 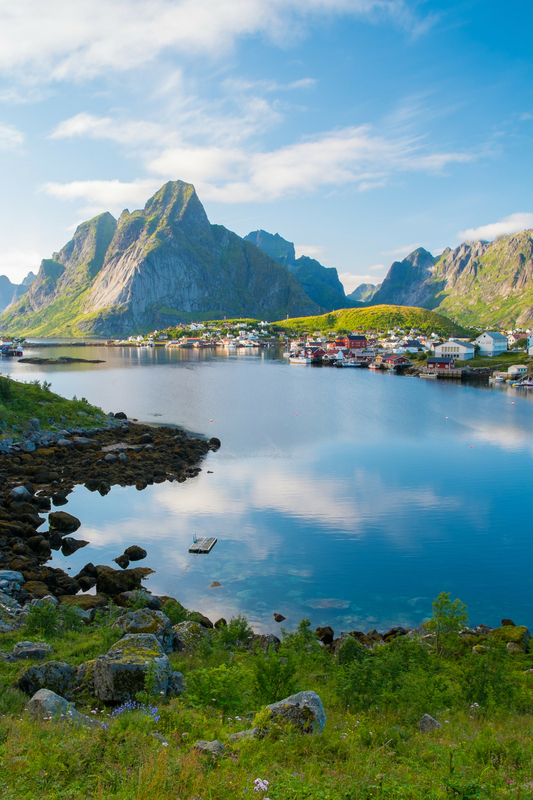 This small fishing village in Norway is SO picturesque – if a picture tells a thousand words, this would have to tell double. Stunning! 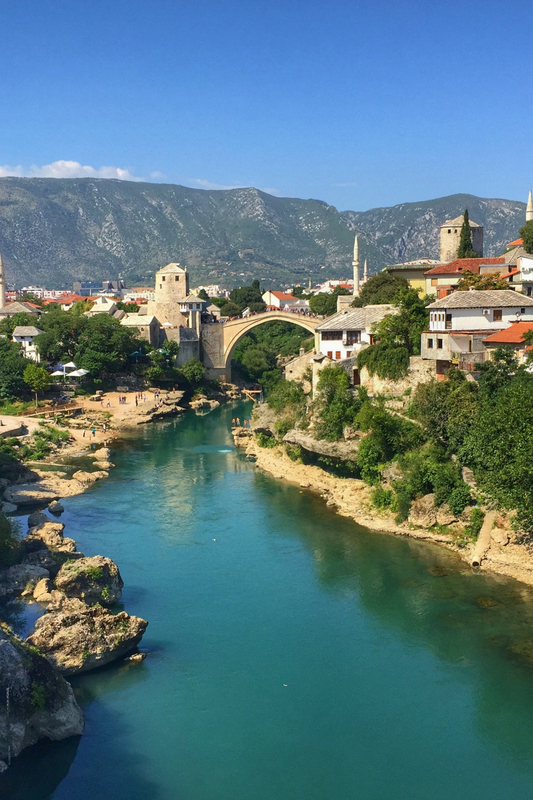 The small town of Mostar in Bosnia & Herzegovina has got to be one of the most underrated destinations in Europe. If you find yourself here, be sure to visit nearby Blagaj – another charmer! 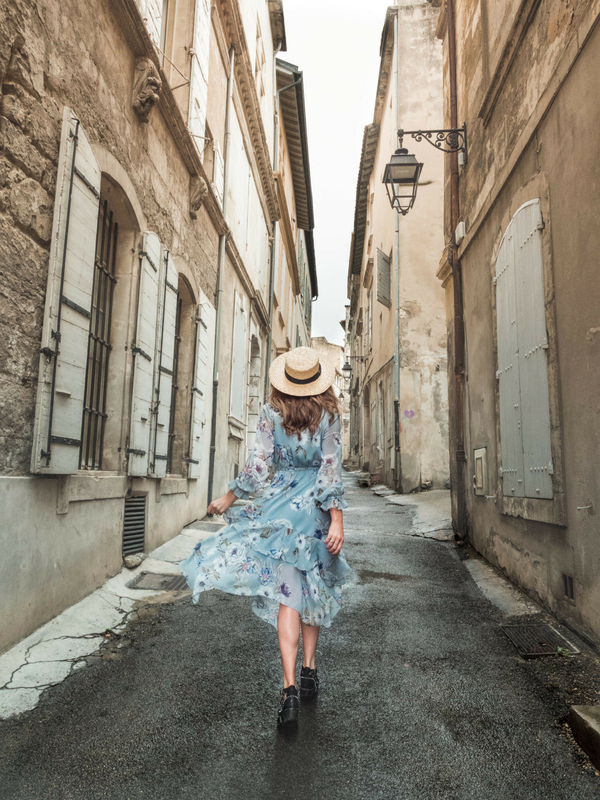 This gorgeous town in the Provence region of France is your gateway to lavender and sunflower fields, incredible food and magnificent wine. Does it get any more French!? Freiburg is home to around 230,000 people and is located in the Southwest of Germany – the picture says more than enough. Not far from Hallstatt and just a few hours by train from the capital city of Austria (Vienna) is the much-loved city of Salzburg. Despite being a city, Salzburg has maintained its small town charm in the centre of the Old Town and elsewhere in the city with its’ famous association with the Sound of Music being filmed in the fabulous Mirabell Gardens. 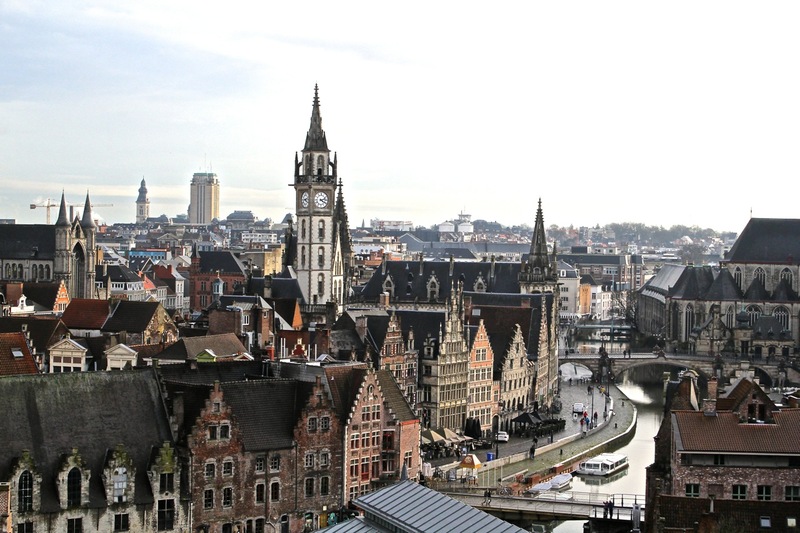 Ghent is one of Flanders’ two hidden delights (alongside Bruges). 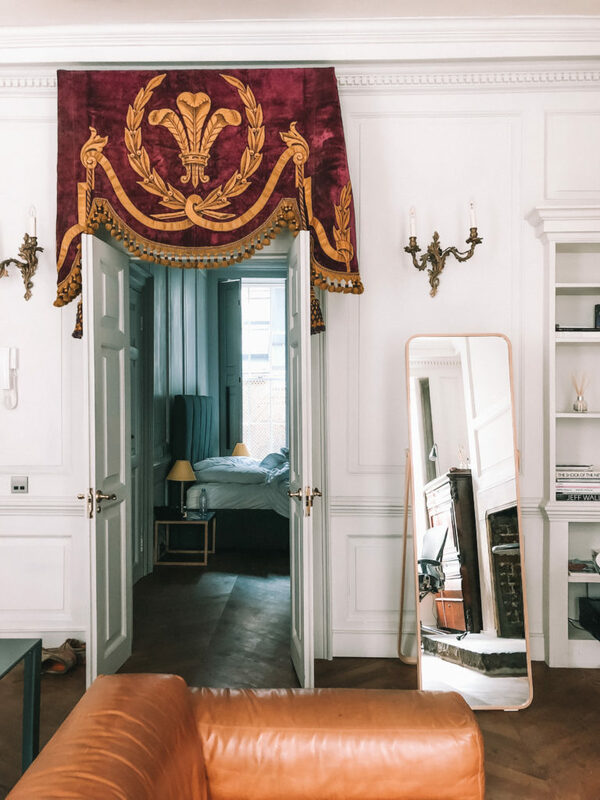 Just a short 20 minute train ride from its’ more popular neighbour, Ghent is equally charming however in a completely different way – be sure to visit to see why! 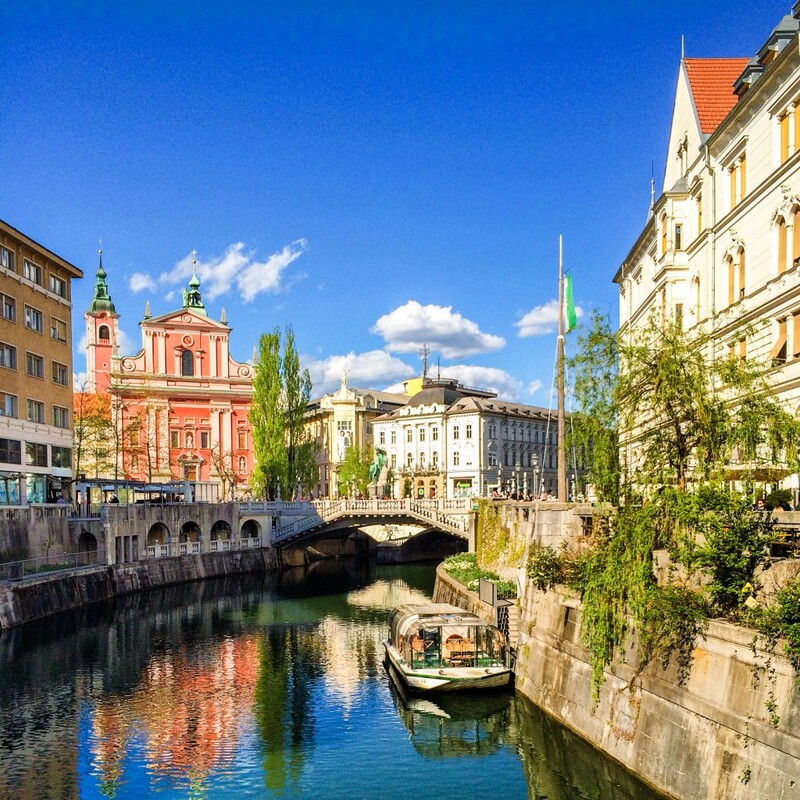 Ljubljana is indeed the capital of Slovenia and thus a city as opposed to a small town, however it simple has to be included due to its’ small town charm – it is one of Europe’s most understated capitals! 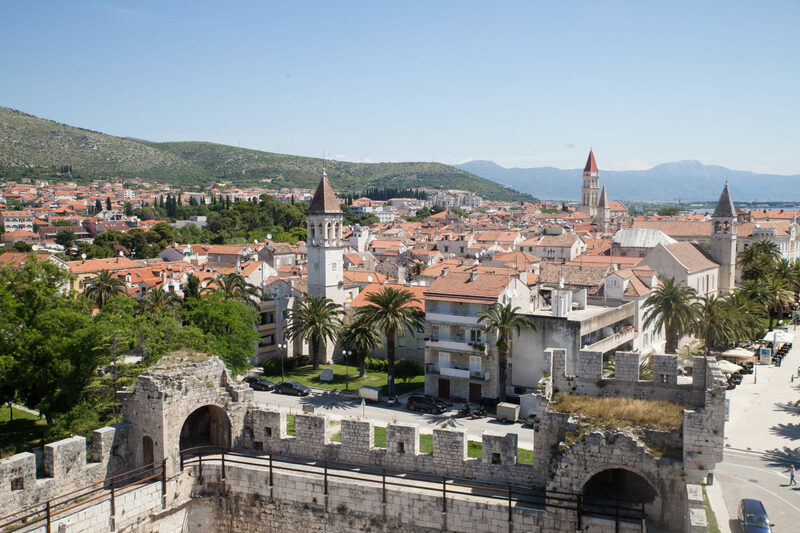 Proof that there are many beautiful small towns to explore in Croatia: Trogir is an architectural marvel, mixing Renaissance, Baroque and Romanesque styles all in one town on the Adriatic coast. Look familiar? 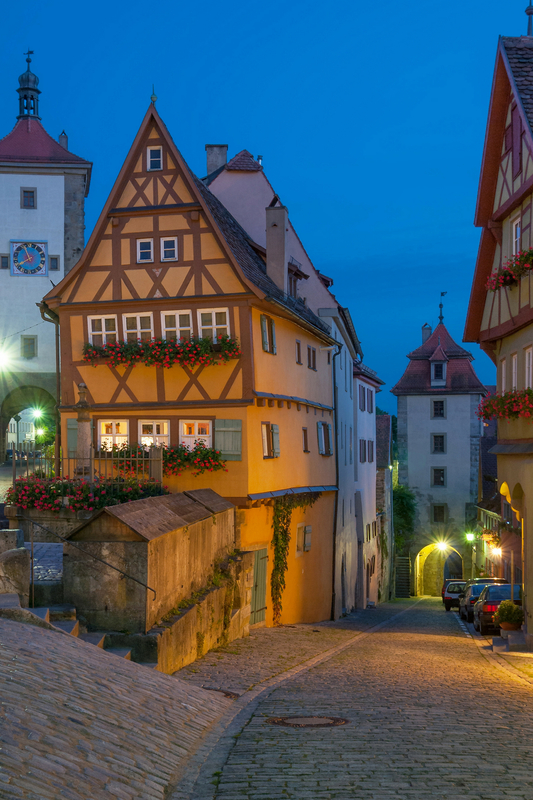 Walt Disney used Rothenberg as the inspiration for his film Pinocchio! Arosa will indeed always be a special place to me as it is where I shot the cover of my book. The relatively small town in the Swiss Alps is a hot favourite of the English Royal family, so if it’s good enough for them I’m sure it’s good enough for all of us! Bergen is arguably Norway’s most charming, picturesque town. 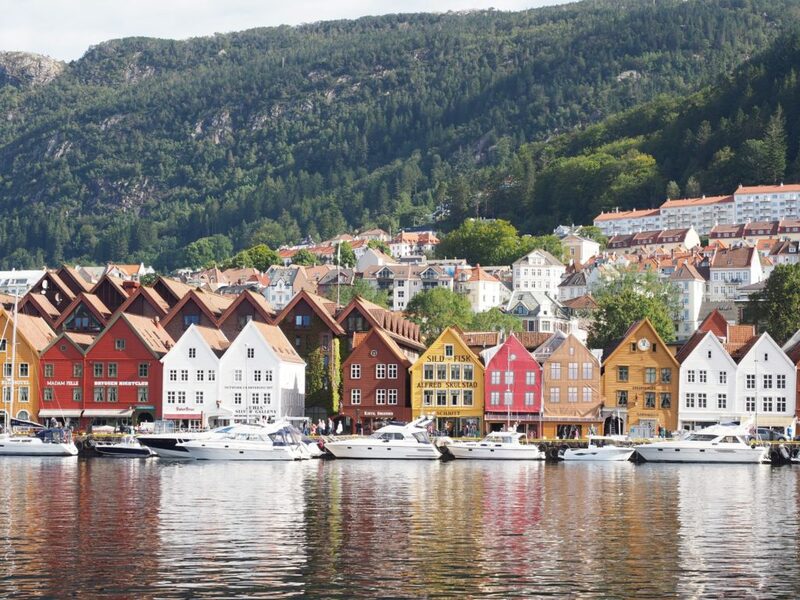 Situated on the West Coast of the country, Bergen was established before 1070 AD! 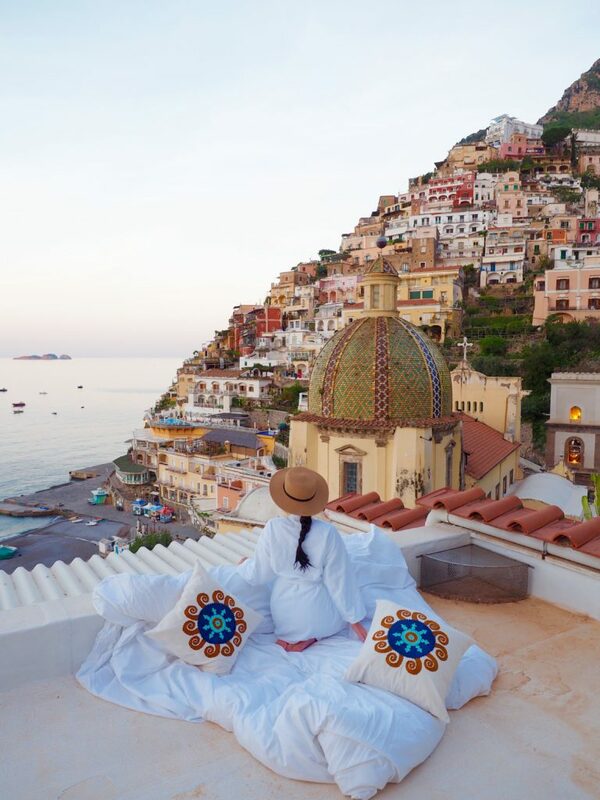 As one of the most beautiful coastal towns in Italy, Positano is hardly a secret. But this list just wouldn’t be complete without mention of Positano – a colourful, vibrant, cliffside town in the heart of Italy’s Amalfi Coast. Have been to Manarola, Bruges and Rothenberg – all amazing places! All 5 Cinque Terra towns are like Manarola. Need to tick more of these off. Its so beautiful place. I love this, expectally Annecy, France ^_^ Thanks. Awesome places, got to visit them all. Hi, I like the post, however I’m kind of disappointed to see that you see Bruges as a town as it is actually a city, it might not seem like it to people from a big cities however in Belgium it’s considered a city with its 117 thousand inhabitants. I love the idea of this post, but I would like to mention it so people are well informed when visiting these places. Cheers. Awsome list. Many of them are in my bucketlist especiallyMalta and Gerome. The one in the article is Leavenworth, Washington. Otherwise a great list! 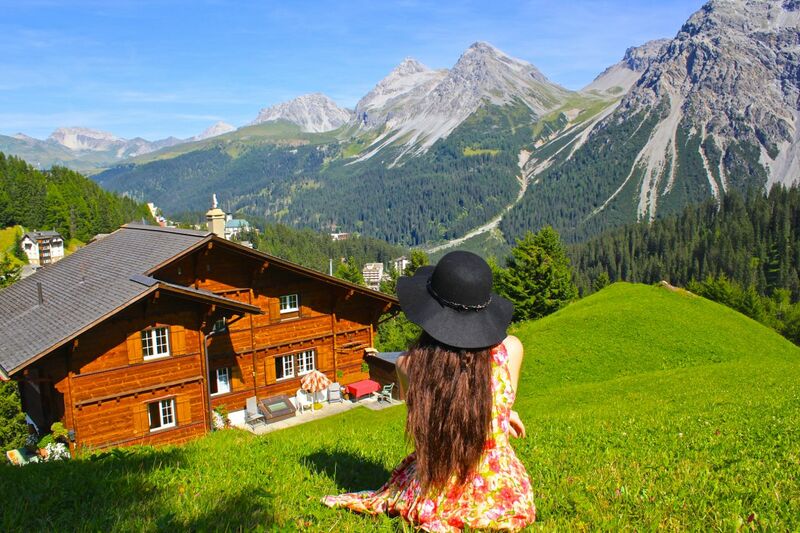 Arosa and Annecy are places you remember forever. Saving this list. I’m a sucker for small towns. These look wonderful! Lovely pictures and very useful for travel to Europe. There is a Leavenworth in Kansas, Washington, Minnesota, and Indiana. Which state is this town located in? They all look very romantic to me. Thank you for your article! It really inspired us. I hope you don’t mind we published your list, one by one item, to our Facebook page. Important message to those reading this blog. Remember the images are above each town that is mentioned. 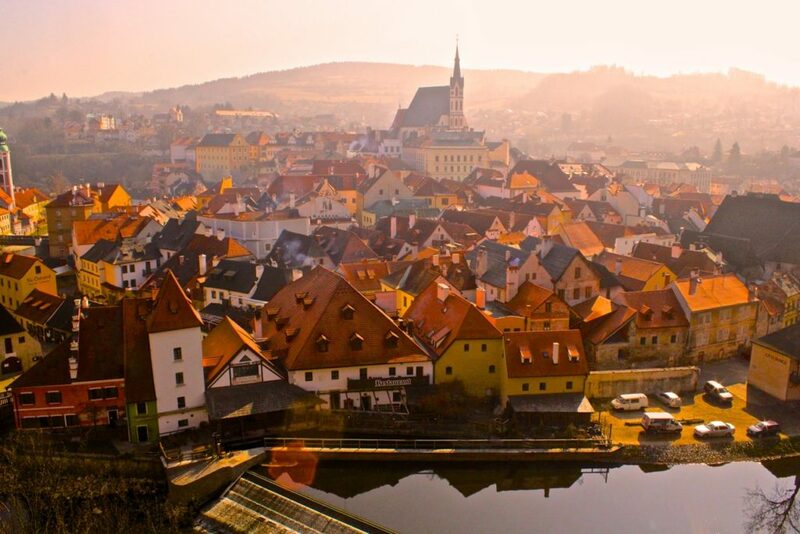 For example for Cesky Krumlov, Czech Republic the image is above the town name and information on the town. Such a lovely wrap up of so many wonderful places. I’ve been lucky enough to visit many but still so more to see. It’s so hard I think to pick a list of faves when there are so many beautiful places in the world. Wow! This is amazing! I am so jealous that you have been to all these places! You are truly inspiring! leopoldshagen and straalsund in germany. Thanks for posting nice list. I’ve also visited few of this places, but I give my preferences to more ancient places. One of them I have visited recently and that deeply impressed me is a Niemodlin Castle (Poland). wich was closed and forgotten for proximately 25 years. It has very interesting story around it there is lots of stuff going on .Apparently there was 10 truck of gold hidden in the castle and some time ago they ever discover new secret tunnels. Nice towns, you will find much more such towns in Europe so you can continue with adding more and more towns here on the list 🙂 I think you end up with more than 100.
amazing list!! I am so happy I found this on your web! 🙂 I am living in Czech Republic right now, Cesky Krumlov is a fairy tale city! 🙂 thanks for all your inspiration, I will do my best to apply your advice on my blog Happy world exploring everyone! She didn’t. The image is first then the location name, idiot! I am planning to visit Ljubljana, Slovenia in winters with my friends.. I hope its a good experience..
Cappadocia is the place on the pictures under FREIBURG. Pamukkale is in Cappadocia. I love these kinds of posts so much! Europe is such a great place to explore, I’ve definitely added a few more destinations to my to-see list. Freidburg Germany looks like another planet 🙂 Keep up the good work I love your blog. I really like this list! There are so many beautiful towns in Europe, and it is hard to do a list which doesn’t exclude thousands of worth visiting cities. I have been to a lot of the cities in this list and a lot more, and your choices are really satisfying! Great job! This is amazing and great list! Its a most beautiful post i ever read. Thank you so much for sharing.I hope i can visit at least any of this place in my Life. I would love to suggest one awesome travel platform to find some more amazing places in the world. It will surely helpful for all the readers and travelers of your awesome blog. Thanks for sharing – I absolutely adored Eze Village in France – it’s beautiful! And everyone should once go to Annecy – it’s magical! Thanks for including Freiburg! I just moved here and I absolutely love it, you feel at home instantly! In Toruń try famous in here gingerbread. Delicious. Love the list! Been to Mostar and will def. visit Marsaxlokk in Malta this May! 🙂 Great blog! Definitely, these places are truly amazing and requires to be visited once in lifetime. The little Luzern? very nice article! Also; Ullapoool in Scotland, Dinkelsbuhl in Germany, Portmerion in Wales, Utrecht in the Netherlands. Nice top 25! We love Europe! 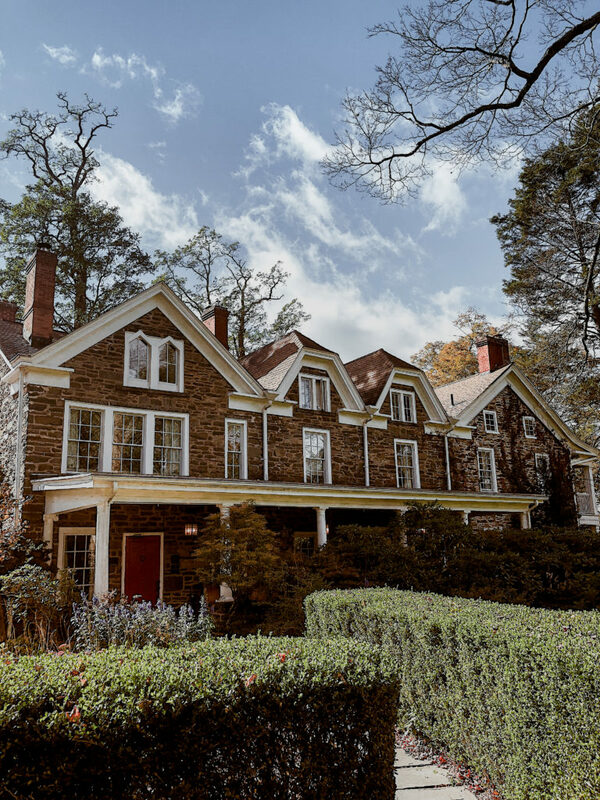 It has beautiful history and amazing architecture! And you can find many nice terraces, which makes a city alive! Great list! I won’t be too far from Mostar next week, might have to go visit 🙂 shared! I’ve driven through it many time and have had to stop to take photos! Albarracin, Spain I like this place and decided to go this summer vaacation. #1. Bergen is the 2. largest city in Norway, it might not be big compared to London, but for us Norwegians it’s a large city. more to add to my bucket list. now that the euro is dropping, stretch the dollar a bit. I just made a list of my own about the cutest little towns in Germany. You should definitely include some of the villages there in your next list, like Quedlinburg or Wernigerode – they are incredibly pretty! Ah, I’m so happy you keep mentioning Norwegian cities in your posts! Bergen is absolutely stunning. I’ve never been to Reine, though. Greenland is definitely on my list. 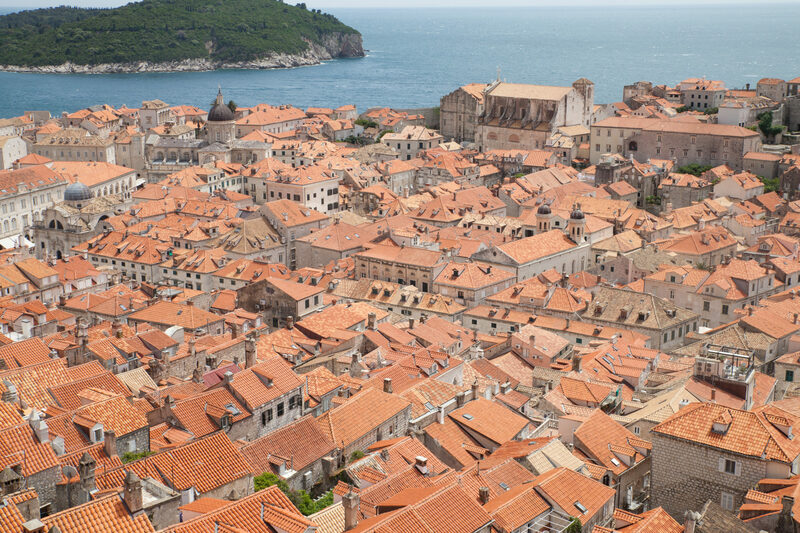 You should also check more Croatian cities such as Dubrovnik, Motovun, Trogir and Rovinj. I believe you are forgetting a lot here. For example, there are quite some places in Germany on a Mosel River. Also in Austria and especially Slovenia, just when you wrote about Bled and allow me to quote you: “the greatest attraction is undeniably Lake Bled – one of the world’s most stunning lakes and a favorite for visitors to Slovenia”. Have you ever been in Bohiny lake – 4 times bigger than Bled lake? The most magnificent and more attractive than Bled. There are 2 waterfalls, as the only source of water coming inside and on the end River Sava starts. It is longer, cleaner and with a depth of 130ft! Sourrounded with mountains ( Julian Alps ). I have been swimming one time at Lake Bled and the Hotel pipe which is going from a hotel into the lake and to the other side broke and you can’t imagine what kind of things came up on the surface. Bohinj lake changes whole water 4 times per year, when Bled lake does one time per 4 years. Also there are some nice places, such as Pirran, Ptuy and in Croatia you have Dubrovnik. Please have a good run over those countries and you will see what you have missed. been to 8 of them! great list! Thanks for this post! I’m adding a few to my calendar as we speak! Also Larnaca in Cyprus is worth a visit – even if it’s just to see the flamingos! Some really cute towns here! I love Eze! A must if you’re visiting Nice! thanks for such a nice information. these places are truly amazing and requires to be visited once in lifetime. I just want to tell you that I am just beginner to blogging and site-building and actually enjoyed this blog site. Probably I’m want to bookmark your site . You amazingly have wonderful articles and reviews. Regards for sharing your webpage. Nice list! However I would also add omitted literally everywhere and not mentioned in ANY guide book about Europe one of the coziest and most beautiful little towns: Ksamil, mountainous Girokaster and Berat – the town of 1000 windows. All of them in Albania – last undiscovered and so beautiful country in Europe! How about this town called MATERA in South of Italy? Great list – I knew Cesky Krumlov would be number one as soon as I read the title of the article. I’ve only been to 3 of the 25 on this list but it’s always most memorable to visit the less frequented places and then tell your friends about them. Most of the “small-towns” are big cities to us…coming from very small towns and villages in Iceland. So…I would say…somebody choosing the nice small towns in an article like this (which I like…all of them)…has not seen enough of the small towns and villages of the world to put up a show like this! I am willing to welcome the author to our place of Dalvík in north Iceland to show him/her what we have to offer! As a Washingtonian, I appreciated the last one on the list, Leavenworth, WA. We had a great family get-together there this spring, however a trip to one of the European vacations would have been better yet. Mostar is indeed very beautiful and a place that is full of history. I was really looking forward to checking out this list… but was pretty disappointed. Come on… in what world are Brugges, Cesky Krumlov, Bled, Colmar, Bibury etc secrets? They’re lovely places but over-ridden with tourists. None of the places on this list could be describes as secrets… and many (as the writer states) aren’t even villages. He’s even got a capital in there. Its actually pretty lazy journalism because there really are lots of (more or less) hidden jems out there all over Europe. I would like to add Civita di Bagnoregio in Italy (near Orvieto)… but if you plan to visit, do not delay. This tiny town is atop a plateau with crumbling sides. 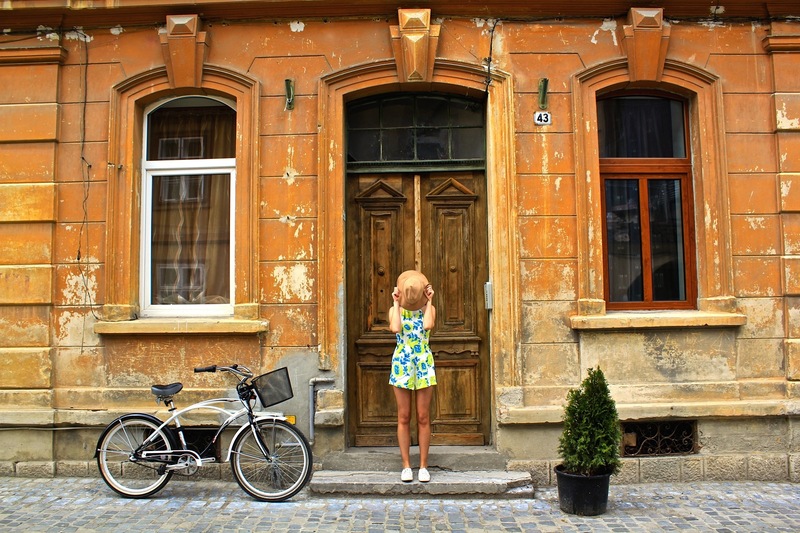 Bruges, Goreme, Bled and Ljubljana certainly aren’t secrets – each one has a thriving tourism industry! Goreme is well worth a visit still though, it’s almost otherworldly. Ghent, Bergen and Freiburg have been on my radar for a while, and Reine looks absolutely stunning, so picturesque! I’ve only heard good things about Mostar, and Colmar is also on my list, as I’ve heard that it’s absolutely magical at Christmas. Wow, some great inspiration here. I’ve been to Goreme and can’t recommend it enough, it’s almost like being on another planet. Great article. I have visited half of the cities on the list. Mostar in Bosnia is the loveliest by far. It’s so nice to see someone mention Annecy. I found it to be one of the loveliest little towns in Europe and it is just drop dead gorgeous on a sunny day hanging out by the lake. Besides Annecy these all look amazing and I’ve added a few new places to my must visit list. Beautiful places. I have visited Ljubljana and Mostar. There are hundreds of such amazing towns across Europe. Neuswanstain is maybe more a castle but it is breathtaking. Also Bad Wimpfen in Germany. So many nice places to visit and enjoy the life. I hope I wil live long enough to see them all on this list… and more. Mostar is the first place I will travel to, definitely! Some friend of mine have been there last year and they told me that the atmosphere there, the hospitality of people and the food are exceptional! Ans after that, probably more palces on this list… Thx for sharing. Well, I think there’s a mistake with 2 pictures… The one assigned to Freiburg belongs to Göreme and viceversa. Beautiful little towns that really showcase those countries! Great way to get off the beaten path. Having lived in several countries on the continent, I can personally recommend Dokkum, Friesland , in the Netherlands; Bassano del Grappa and Asolo in northern Italy and Frigiliana, Andalucia, Spain. 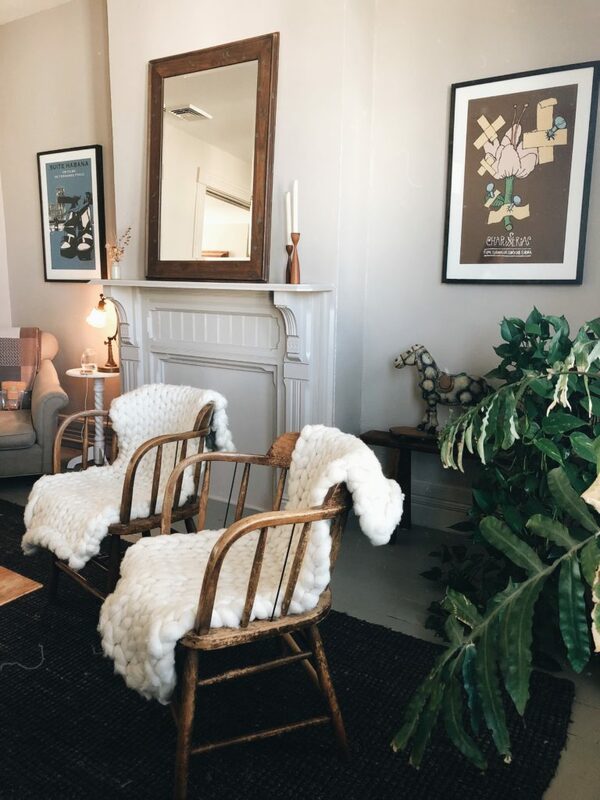 Btw, lovely blog. I’ve visided Reine in Norway. Really really nice place. I was thinking to retire there as I really like the place! Oh Gerome! Need. To. Visit. Ohhhh….Wow….really beautiful places! I want to see every single one! Thank you very much for sharing, it is inspiring. Just rent a car and drive around in Europe, you’ll come across dozens of picturesque places not listed here — just too many to mention them all. I particularly like Salisbury in England, Dingle in Ireland, Marostica in Italy, Meteora in Greece, Aachen in Germany, Utrecht in Holland, Aarhus in Denmark, but I’m probably leaving off dozens more. Just go, and try to stay away from the mostly crowded, polluted and expensive capital cities. Nice towns – but didn’t you forget the town Ribe in Denmark. I’ve only been to 6 of these towns! But now I’ve got more to go on. Here are some details about Annecy. Nice! The small town of Eze France looks particularly beautiful! Great post. 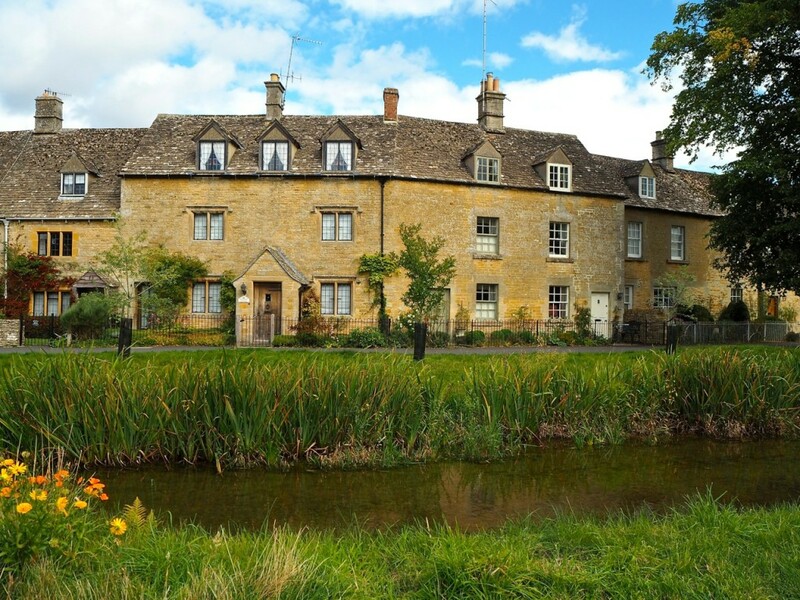 And, as a Brit who once lived in the Cotswolds, great to see Bibury on the list! Love your list. I personally love Lausanne, Switzerland. It’s not a big city but it’s so beautiful. Mostar looks spectacular and I really would love to travel back to Turkey again. I now have a few more towns to add to my list! You should write something about Ohrid, amazing city in Republic of Macedonia! I always love to travel.This post helps me to select a place to travel.And wonderful photo. You have to come and see Girona! in Catalonia (Spain). WOW! Amazing little places you discovered there! And wonderful pictures. Must? Well, dang. Guess I better visit them all, then. Such a great list. Thank you. Hey. Really nice photos and cities. I think Sighisoara, Romania, a small medieval city should be on your next list. Only been to one, Bruges! Greenland is high on my list! I cant belive Consett, UK is not on there it is surely the best town in the world. very charming. How can you not mention the historic town of Sighisoara?? Wow, I have never heard of any of these places! Now, I want to go to norway! I was in Bled en Ljubljana this summer and i loved it! The picture with nr.13 is Tasiilaq not Ittoqqortoormiit. Wonderful pictures and spectacular places. I’m italian and the only place I’ve visited are Manarola, one of the “Five Lands”, and Bergen, in Norway. So many places to visit. Thanks for the tips. Ever thought about health when traveling? is a platform where travelers and expats can share medical providers they want to recommend to each other and where every one can give feedback on quality. Let’s help each other in finding good care around the world so that we can safely travel!! Soon I’m going to Slovenia, so I really can’t wait to visit Ljubljana and Bled – the latter looks like something from a fairy tale! Heading to Croatia in a couple of weeks, will try to include Pucisca – thanks for the tip. Also, LOVE Gent. And traveling to Goreme when we are in Turkey next year. Great list, Brooke! Oh God, so many more places to add to my travel list now. I had the pleasure of living just twenty or so minutes away from Annecy in Chambéry a couple of years ago on my year abroad. looks like you only visit the south of germany. you should add münster (nrw, germany) it is one of the most beautiful places in germany. Also many cities in the west end north of germany are totally beautiful! Groningen and Leeuwarden in the north of the Netherlands are so cute places. Great list. I really like to visit the rather smaller towns in a new country as it resembles the culture usually quite well, opposed to the cities that rely in tourism. This list is amazing! I’ll be sure to visit #7 while I’m in London! Thank you for this. Ljubljana is so underrated, it’s so awesome and with not so many tourists. DEF a must! The 10. Eze, France and 9. Pucisca, Croatia is absolutely cute. I would highly recommend you to visit more places in the Netherlands. Though I’m not sure, I think that you’ve only visited Amsterdam. I love that city, but the Netherlands have so much more to offer!! I see you are charmed by the Belgium cities Brugge and Gent. I live in the Netherlands very close to the Belgium border in the city called Maastricht. This is a small city but with great buildings and history!! It is argued to be the oldest city in the Netherlands and the place is extremely photogenic! Also, the surroundings are amazing. If you want to do a hike or cycle, this is the place to be!! Consider coming here one day, I’m sure you fall in love with everything. You can also easily combine it with other citytrips. It’s only a 2hour drive from Amsterdam (or go by train!) and Utrecht, only 30 minutes to Liege (Belgium) or Aachen (Germany) and more nearby places! Paris is only 4 hours driving from Maastricht. 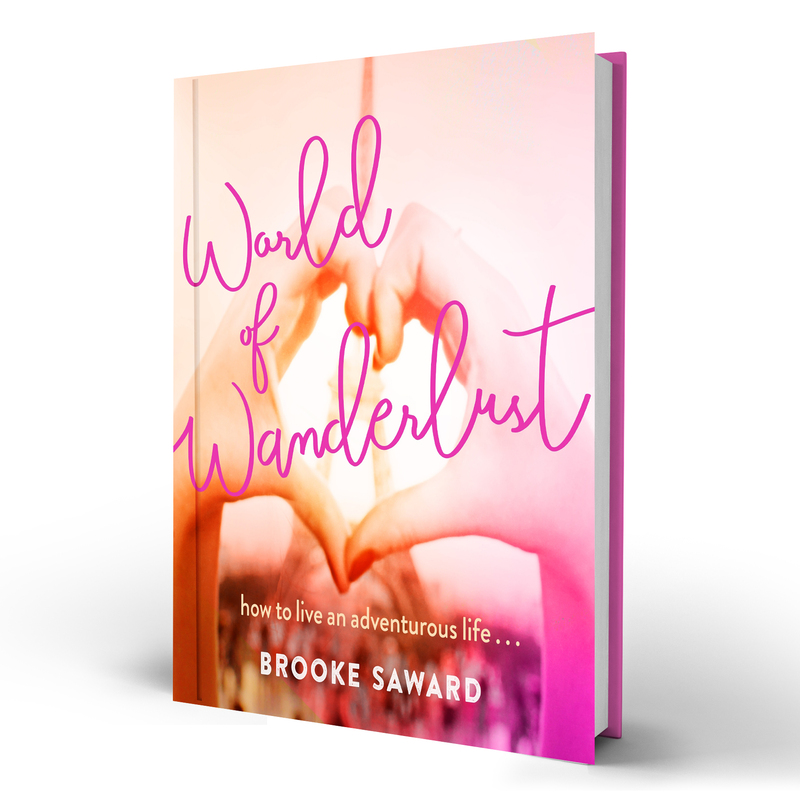 My favorite post from World of Wanderlust! Amazing, inspirational list list! Quite a lot of intriguing places, especially Bibury and that unpronounceable places in Greenland! Thank you for including Leavenworth! We love our little village here in Washington state! Such a amazing places. thanks for posting nice list. Thanks for sharing this! Even tough I’m from Europe, I’ve only been to 3 places of the list. Will definitely write down the others! Also, I know it’s not in Europe, but if you get the chance.. Visit Tofino and Telegraph Cove on Vancouver Island in Canada. These places are amazing and the nature there is breathtaking. For the best experience, go whale watching in Telegraph Cove. When I was there back in 2010 (September), we saw 2 killer whale families come together and play together while a sound recorder was in the water.. I had tears in my eyes, so beautiful to hear them and see them so close! Thank you for the inspiration, Brooke! Looks like you are missing Europe a little…? Love that included Leavenworth too! Such beautiful places! I want to visit every single one! Thank you very much for sharing, it’s very inspiring. Fab post Brooke! (I may use this as a list to check off!) Glad to see Bibury on the list, I’ve driven through it many time and have had to stop to take photos! I love this list. I’ve been to a few of this places but #12 looks awesome. Next time you should include Regensburg, Germany. That’s a cute place as well.